9. Cup body saradō . 14. String attachment hole ito toritsuke ana . This ancient Japanese toy has been refined to have specific characteristics so most modern Kendamas you’ll find will all be of a standard size, around 7″ in height. Most Kendamas have the same ratios, cup sizes, spikes, but might vary in size slightly. You can see where the variations might start to come in. Also with different price points you see different material use, and different paints that can make the surfaces more grippy which can improve accuracy. Kendamas are fairly robust toys with only a few places that wear can occur. The first place is the tip of the Kendama which can be worn down over several thousand spike tricks, and the string can also break over time. I recommend keeping replacement Kendama string around, if you’re left handed you need to swap the string to make it the right size for the orientation. Now that you have a decent introduction to what Kendama is, the parts of the toy, and what makes a good Kendama we can get into some reviews of the best Kendamas. We’ll start with beginner Damas, then go to mid-level, and close the article off with reviews and displays of the premium Kendamas that are mainly collectors items. Let’s go! Beginner, novice, noob, or if you’re just looking for a cheap Kendama then this is the section for you. Here you’ll find a mix of both plastic and wooden Kendamas that are aimed at beginners mainly due to their price point. They also could be aimed at the younger crowd with some of the plastic models due to increased durability, while sacrificing the traditional feel of a wooden Kendama. If you are a beginner, there’s no reason you can’t purchase a mid-level Kendama or any Kendama you want really – this section mainly aims to keep the price point below $25 with some much below that so there’s not a big barrier for entry for new players. Plastic doesn’t necessarily mean bad, it’s just a different feel and they certainly come in at a lower price point. This Catchy Air plastic Kendama hits a real sweet spot of performance and price at around 10 bucks for a basically indestructible dama. The cups have a rubber ring around the edge which is a treat for beginners and pros alike. Plastic Kendamas are not only great for beginners, but also great to keep on the go since they’re so light. 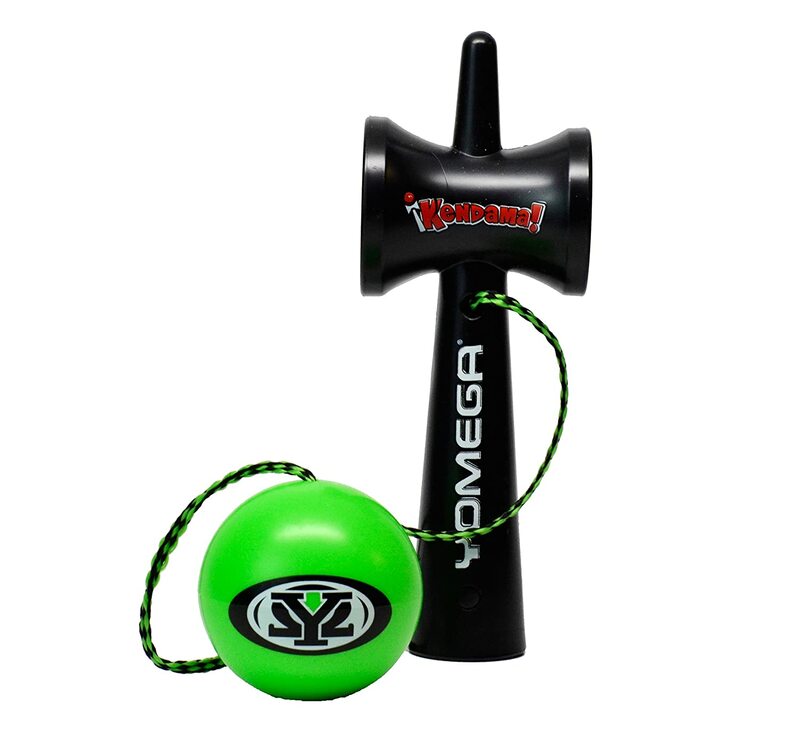 Yomega is a well known yo-yo company making their forray into making Kendama toys – and the Star Catch is a shooting star. This sucker is competitive with the Catchy Air for half the price! It’s blocky, stout, and a breath of fresh air into the traditional Kendama community with it’s stark color differences of black and vibrant colors, and punchy graphics. 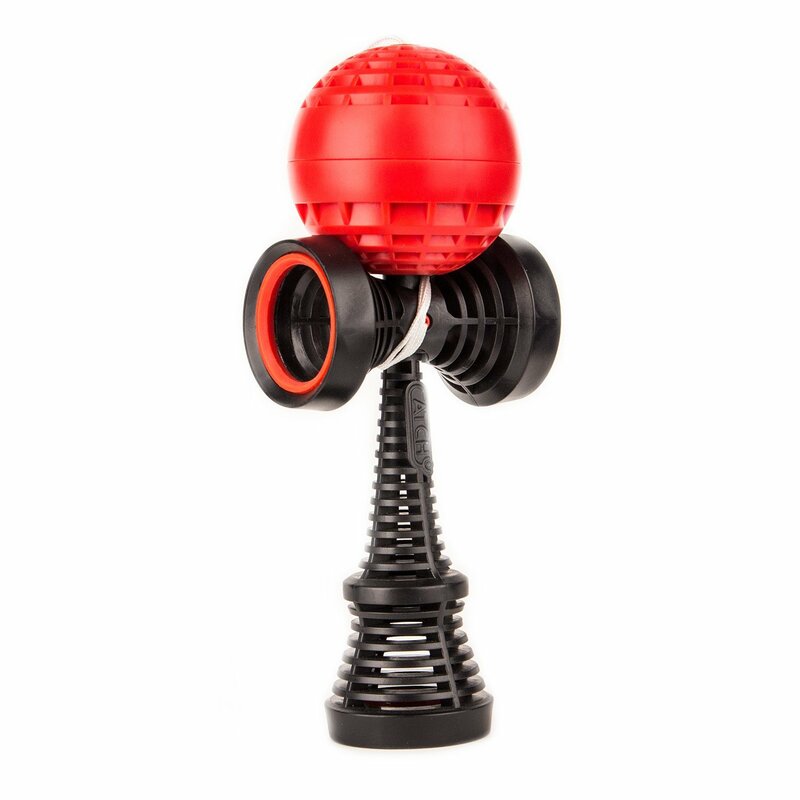 Experienced Kendama users will want to give this puppy a try and beginners will have a hard time passing up the price point. The Coyote Kendama by Yomega is a really reasonably priced Kendama with crafted beechwood construction and a sweet looking Tama. Here’s my top pick for the best budget wooden Kendama for beginners – at just a third of the price of other wooden Damas’ in this article you can’t go wrong if you want to try the hobby and specifically want wood. Here’s another great option for a wooden Kendama that’s easy to use for a beginner and at a great price point. It’s not quite as cheap as the omega Damas but the wooden handle (ken) is higher quality than the Yomega Coyote’s which I think is an important aspect for the feel of the game. Here we’re getting into competition level Kendamas – performance doesn’t improve much past some of these bad boys. It’s hard to say that any Kendama on this list isn’t the best Kendama because they’re all viable competition toys. 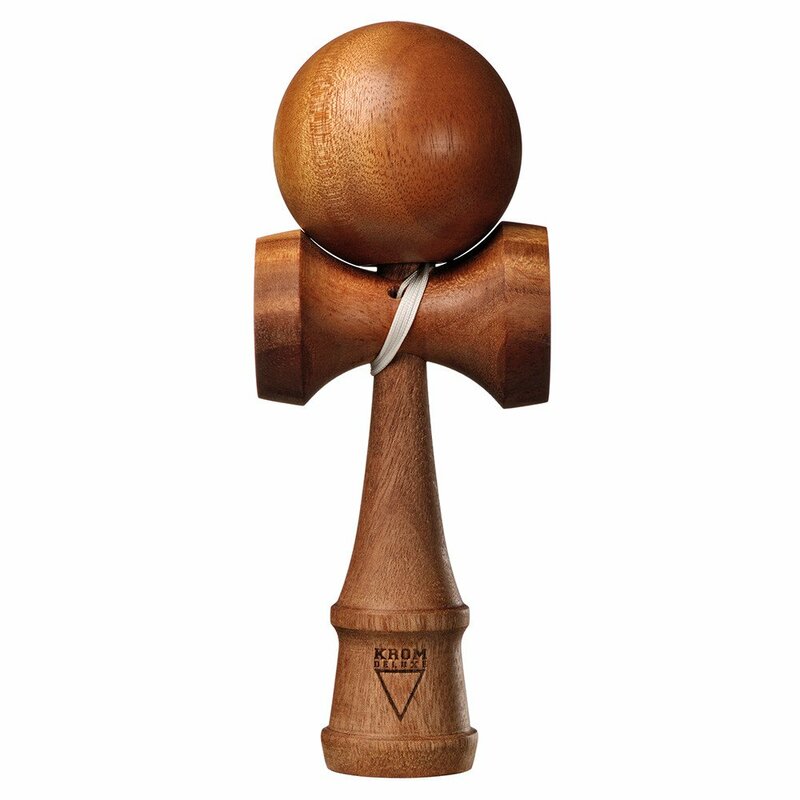 Coming in a bit under $30 is a really nice wooden Dama that you could use for a long time, even turning into a skilled Kendama player. It’s actually at a sweet spot where it’s a quality Dama and the price point is just past the beginner section so it’s kicking off our mid-level Kendamas. Kaizen Kendamas are really great quality, all of their Damas are made with 100% beech wood and use silk paint on the tama in a variety of different colors, splits, and designs using silk paint which is extremely durable. Kaizen products have a traditional feel to them, and are great quality for the beginner and intermediate user – this was one of the first I purchased for myself and I still use it to this date. The F3 line is Sweets Kendamas mid-level line that makes solid Damas very similarly to Kaizen. The plus side of these is they have a slightly rubbery coating of the Tama that can improve the accuracy of balance tricks. These are really great and a slight step up in quality from the Kaizen Silk in my opinion due to the broken in feel out of the box. The string is loose and ready to swing around, the handle feels soft and comfortable, and the ball is grippy. This Kendama is great for competition and comes in at a decent price. In this section I’ll go over some flashy premium Kendamas. To be honest, past the Sweets Kendama, Kaizen, and KROM Kendamas you’re really not going to see a large increase in performance of the product if any – however the Kendamas can get wayyy more flashy and expensive of course. Here I’ll showcase some of the most unique premium Kendamas out there. 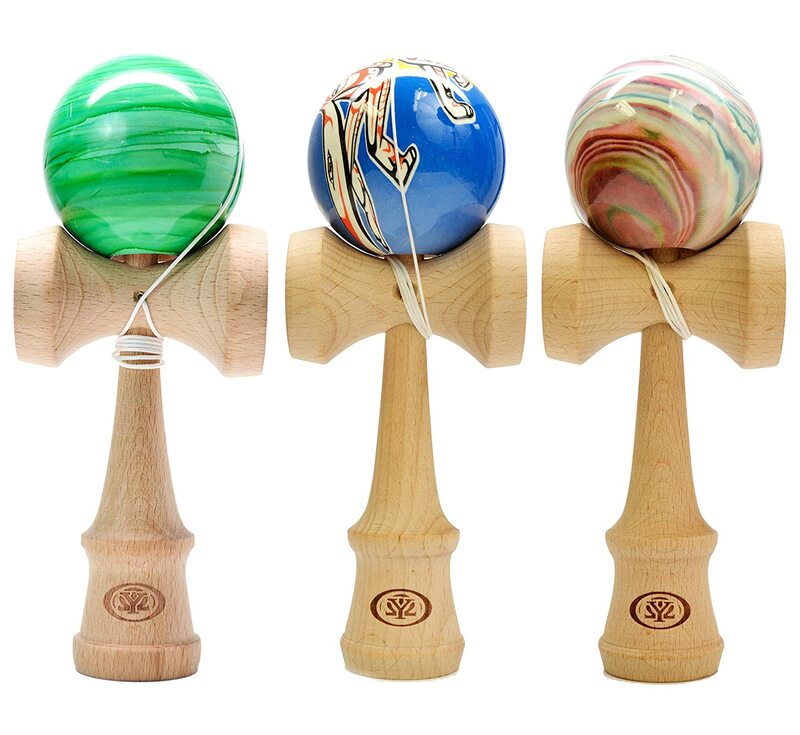 We checked out KROM’s standard Dama line, well here’s their Deluxe Kendamas. Here you’ll find Damas like the Smoked Mahagony displayed above. Coming in at around $50 each, these Kendamas feature unique paint designs, and exotic woods to round out the package. 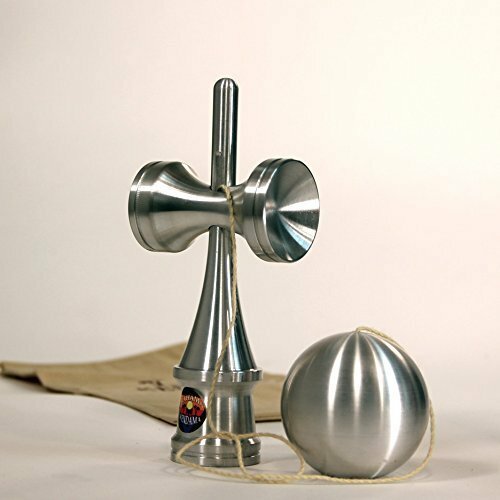 Presenting the newest material Kendama on the list, Billet’s aluminum Kendama is a head turner that’s for sure. This is full-sized, 100% high grade raw aluminum. This sucker is heavy, and fun to play with as it has a unique feel compared to any other Kendama you’ve played with. With a hefty price point this is probably one of the most expensive Kendamas out there, it would be sweet to add to your collection and keep on display – playing with it from time to time. 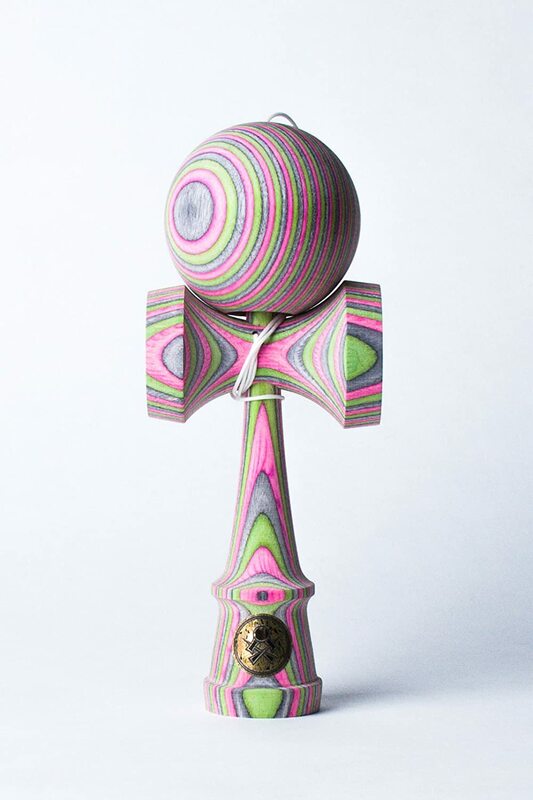 Closing off the premium Kendama section we have Sweets Kendamas Homegrown line – these are limited production run Damas with some of the craziest designs I’ve seen. These are the most expensive wooden Kendamas on the list and for good reason with the amount of detail put into them. This will perform just as well as all of Sweets Kendamas products and even comes with some extra gifts like extra string, beads, bandana, and collectible pin. Don’t miss out on these limited run collectible Kendamas with crazy designs! I would purchase a beginner Kendama if budget is restricting you – you can get the real Kendama experience with any toy. If budget is not a problem whether you’re a beginner or pro I always recommend getting a mid-level Kendama as you can use it from beginner level all the way up to being a pro and posting vids on YouTube. 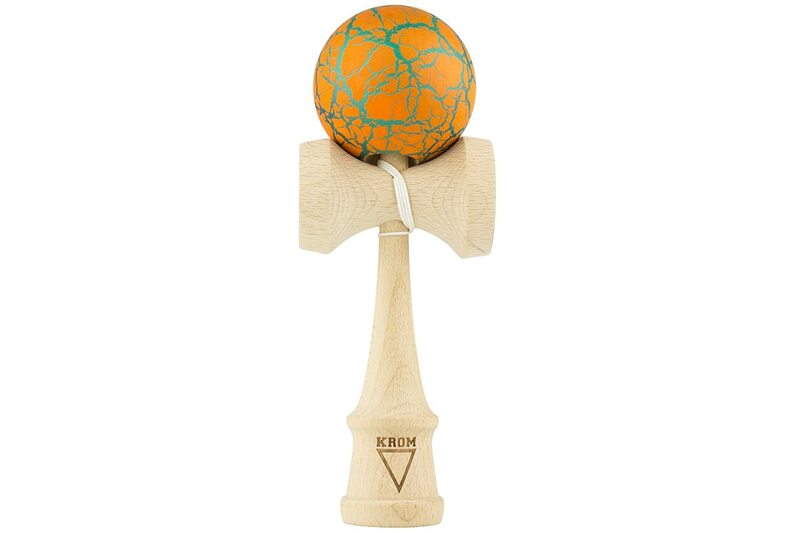 Kendama USA’s Kaizen line, KROM, and Sweets Kendamas are all high-tier performance Kendamas that won’t let you down. Premium Kendamas are mainly for show – there’s no added performance value. You’re essentially buying collectible items with cool designs and more expensive materials are used. These are great gifts for Kendama players, or perfect to top off your growing collection of Kendamas if you’re a collector like me :). Some of the best Kendama brands include Kendama USA, KROM Kendama, Sweets Kendamas, Gloken, Yomega, Catchy Street, and more to come. Examining a Kendama there are 5 points of contact. The Tama (ball) comes in contact with the big cup, small cup, spike, and handle cup. The three cups will see very little wear, the Tama is shaped like the cups so there should be minimal wear, however the spike tip will be hitting inside the hollow of the ball which makes the main point of wear in a Kendama the spike tip. Companies have released their own special products to protect the tip with a coating but it’s essentially super glue. Plastic Kendamas don’t have this issue as the contact is not high impact enough to damage the tip. The next thing to look at on a Dama is the string. Strings can break – most Kendamas come with replacement string but if not there are plenty of places you can purchase extra string from. Here’s a video on YouTube of how to re-string your Kendama. This video is also useful if you’re left handed – you’ll need to remove the string and reattach it in a different way to use the toy properly. Kendama is a toy, but it’s a wide-spread skill toy that’s taking the world by storm. Here’s a recap of current competitions and you can see some of the highlights from real Kendama pro players. Rules for Kendama competitions may vary from competition to competition. Often a trick list must be completed in a certain amount of time with judges determining if the trick was properly done. Players may be required to use specific regulation Damas, and ties end with trick competitions and more. With a ton of Kendama information thrown at you in this article – hopefully you’re able to find the best Kendama for you. It really is a fun skill toy to play with, and sweet to mess around with your friends at home or out on the go. Check out some of our other articles for cool toy reviews and more.